IWCE introduces the next generation of leaders in the communications technology industry. ATLANTA, February 1, 2018 – International Wireless Communications Expo (IWCE), the premier annual event for communications technology professionals, today announced the second annual IWCE Young Professional Award winners. The award showcases the next-generation of leaders in the communications technology industry who are shaping the future of the industry. IWCE’s Young Professional Awards recognize young professionals under 35 who have made a significant contribution in his or her company or agency and works in the communications technology industry. These individuals are executing some of the most innovative ideas, showing creativity and initiative. Winners will be recognized at a special ceremony on Thursday, March 8, at 9:45 a.m. in the Keynote Theater. IWCE takes place March 5-9, 2018 at the Orange County Convention Center in Orlando, Fla.
For additional information on IWCE and to register for the event, visit iwceexpo.com. Stay connected with @iwceexpo on Twitter and Facebook and be sure to follow our LinkedIn company page. 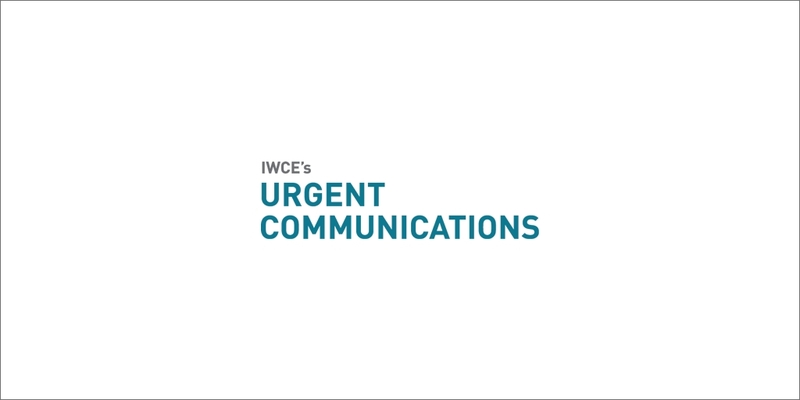 IWCE (International Wireless Communications Expo) is the premier annual event for critical communications, featuring an exhibit hall with over 400 exhibitors and a five-day comprehensive conference program. Over 7,000 individuals attend from a diverse group of industry professionals including product distribution, government, public safety, critical infrastructure, business enterprise and more. IWCE 2018 will be held March 5-9 in Orlando, FL. For more information, visit www.iwceexpo.com.